Home / Is Polypropylene Filter Cloth Right for My Application? Is Polypropylene Filter Cloth Right for My Application? 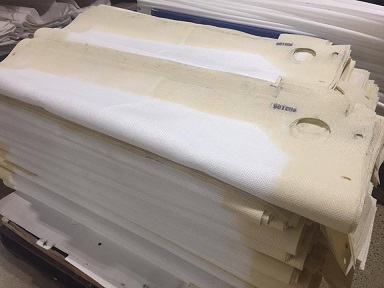 Polypropylene (PP) filter cloth is used extensively in a host of liquid-solid separation applications, but all polypropylene filter cloth is not created equal. In general, filter cloths vary extensively in terms of material, warp, weft, weave, finish, and feed neck. Polypropylene cloth is no exception. This is a Polypropylene Mono/Multi cloth being used in the beverage industry. Our experts will help you navigate through the material selection process including warp, weft, weave, finish, feed neck, edge sealing, and cloth attachment. Textiles have a language all their own with terminology such as “weft,” a term that is also commonly referred to as “the fill” or the “filling yarn.” For instance, a cloth description of “polypropylene mono/multi” would refer to a cloth with a monofilament warp and a multifilament weft. This is a heavyweight polypropylene 100% multifilament fabric typically used as a backing cloth. Contact us to learn more about if PP is suited to your application and work with Micronics experts to select the right specifications for your application and operating conditions. Is PP Right for My Application? Polypropylene filter cloth is a popular choice in a wide range of industries including chemical manufacturing, pigments & dyes, mining, sugar processing, metal hydroxide sludge, and wastewater treatment. You will want to work closely with the Micronics team to ensure that you are choosing a filter cloth with just the right specifications for your application including weight, thread count, permeability, etc. All polypropylene filter cloth is not created equal, but we will help you navigate the cloth selection process. Don’t worry – you won’t have to become a textile expert! We’ll take care of the details so you can focus on meeting your operational objectives. 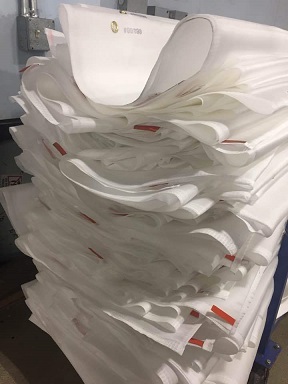 Contact us for assistance with filter cloth selection for your application – whether for polypropylene, polyester, nylon, cotton or other filter cloth materials – or to Request a Cloth Quote.